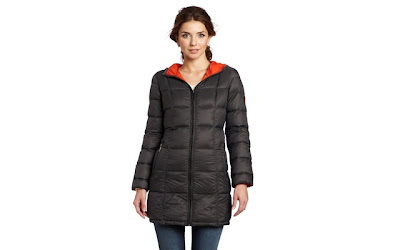 The MICHAEL Michael Kors Women's Packable Down Coat in Smoke Orange is currently selling for just $87.50 on Amazon.com! You will be saving 50% off the listed price of $175.00 with this fashion deal. The MICHAEL Michael Kors Women's Packable Down Coat in Coffee Champagne is currently selling for just $87.50! You will be saving 50% off the listed price of $175.00. The MICHAEL Michael Kors Women's Victoria Coat in Black, Chocolate, or Flannel is currently selling for just $125.00! You will be saving 50% off the listed price of $250.00. The MICHAEL Michael Kors Women's Wanda Jacket in Black or Flannel is currently selling for just $125.00! You will be saving 50% off the listed price of $250.00. The MICHAEL Michael Kors Women's Unis Coat in Black or Camel is currently selling for just $125.00! You will be saving 50% off the listed price of $250.00. The MICHAEL Michael Kors Women's Debbie in Red is currently selling for just $125.00! You will be saving 50% off the listed price of $250.00. The MICHAEL Michael Kors Women's Quincy Jacket in Teal Navy, Black Smoke, or Black Black is currently selling for just $87.50! You will be saving 50% off the listed price of $175.00. The MICHAEL Michael Kors Women's Patti Jacket in Black or Wine is currently selling for just $125.00! You will be saving 50% off the listed price of $250.00. The MICHAEL Michael Kors Women's Yvette in Gunmetal, Navy, or Black is currently selling for just $125.00! You will be saving 50% off the listed price of $250.00. The MICHAEL Michael Kors Women's Tara in Dark Silver or White is currently selling for just $125.00! You will be saving 50% off the listed price of $250.00. The MICHAEL Michael Kors Women's Cathy in Black is currently selling for just $137.50! You will be saving 50% off the listed price of $275.00. The MICHAEL Michael Kors Women's Opal in Black is currently selling for just $125.00! You will be saving 50% off the listed price of $250.00. The MICHAEL Michael Kors Women's Nanette in Black or Oyster is currently selling for just $125.00! You will be saving 50% off the listed price of $250.00. The prices on Amazon change frequently, so do not wait too long to take advantage of these discounted prices.